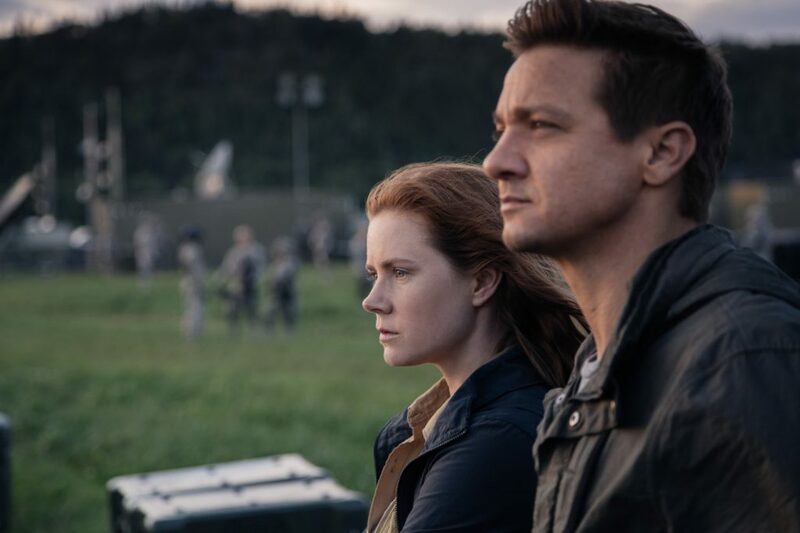 As the credits began to roll and people stood up to leave the theater, I sat in my chair on the verge of tears, the calming, quiet music washing over me while the full impact of Arrival started to sink in. The last time this happened to me was when I saw Interstellar for the first time – which is ironic, considering it’s another film about the unknowable nature of space and how humanity fits into the grand scheme of things. But Arrival has a different, though equally compelling story to tell. A story I think couldn’t have come at a more appropriate and needed time. 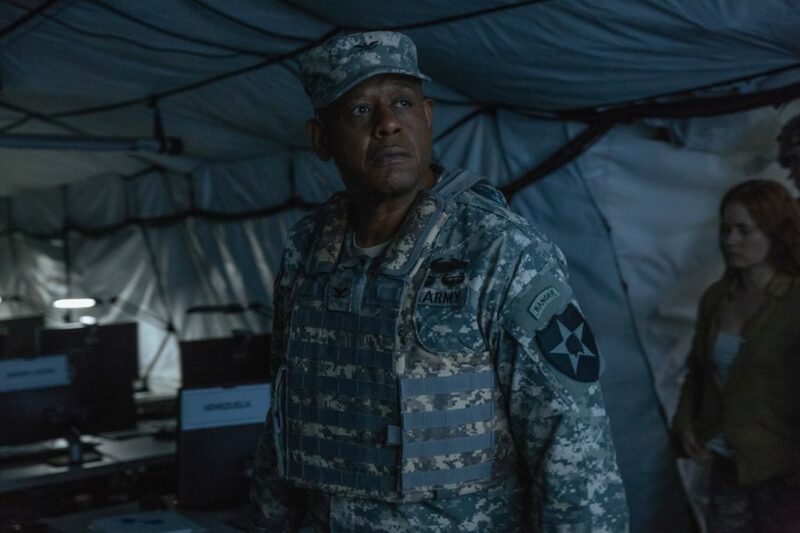 Starring Amy Adams, Jeremy Renner, and Forest Whitaker, Arrival tells the story of Dr. Louise Banks (Adams), a linguist of great renown, as she tries to figure out why Earth has been visited by alien spaceships (called “shells” by the U.S. military). She works together with theoretical physicist Ian Donnelly (Renner) and U.S. Army Colonel Weber (Whitaker) to learn how to communicate with the alien beings, who allow a team of humans to visit their ships across the globe every 18 hours. But the aliens are arguably the smallest fraction of what makes the movie so compelling. Just as Interstellar isn’t really about finding a new home because the planet is dying, Arrival isn’t just about figuring out why the aliens have arrived. Arrival digs deep into humanity’s response to first contact by alien lifeforms – and not just America’s reaction. We see the entire world turned upside down when the aliens arrive, and that global anxiety only increases the longer the aliens stay on the planet. It’s a fascinatingly close-to-real-life scenario, only magnified by the current political climate of uncertainty. Couple that with pop culture’s recent obsession with Black Mirror – a Netflix series that examines the relationship between technology and humanity – and you have the perfect timing for a film like Arrival. Because the crux of Arrival is not that the aliens are a threat; it’s that humanity is its own greatest threat. More than that, though, Arrival is the singular story of Louise Banks. 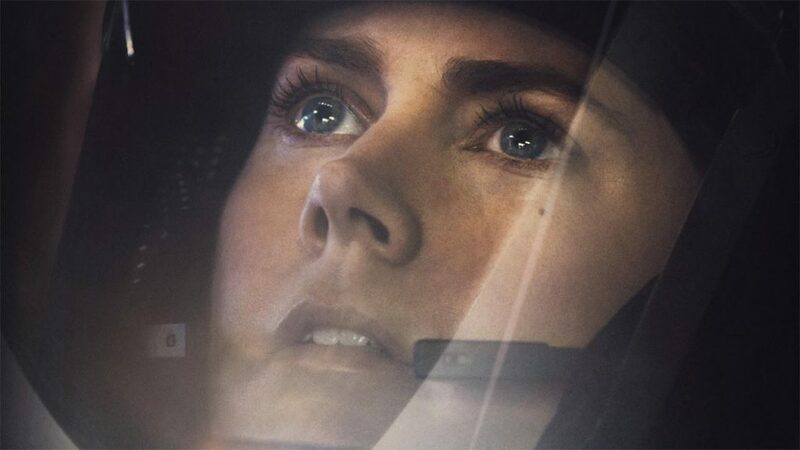 The film opens with a montage of her almost-perfect life leading up to the arrival event, and the memories of her past send ripples and echoes throughout the entirety of the movie – but not in the ways that you’d think. This is not a “chosen hero” type of story. She is not some prophetic being that’s destined to save humanity. She’s just a linguist trying to do her job, which is communicate. She believes communication is what makes us human, what sets us apart from other species. It brings us together just as much as it can tear us apart, and I found that to be the most compelling aspect of this movie. It really dissects how we use language – both written and spoken – to convey ideas and connect with one another, or to wage war and create division. Director Denis Villeneuve does an incredible job showcasing both Lousie’s personal drama, as well as the greater calamity that serves as the backdrop for the film. The tension is palpable as the characters try to navigate completely uncharted waters. Are the aliens friendly? Do they want to harvest the planet? Are they tourists? Are they scientists? These are the questions that are thrown around by various characters, and the peril feels real. Their reactions feel real. This film feels like it could happen someday, which is a testament to Villeneuve’s directorial skill. The only other film of his that I’ve seen is Prisoners, another masterwork of cinema (starring Hugh Jackman and Jake Gyllenhaal) that also explores the nature of humanity. (Note: I previously stated that Roger Deakins did the cinematography for this film. That is incorrect. While he did work with Villenueve on Prisoners, and he’s helming the camera for Bladerunner 2049, he was not involved with Arrival. Not sure how I missed this rather crucial piece of information, other than my research was incorrect, but the cinematographer credit goes to Bradford Young, of Selma fame.) But back to Arrival, Young captures Villenueve’s vision with some truly breathtaking imagery. Seriously, this is one of the more beautiful alien/space films I’ve seen – rivaling the previously mentioned Interstellar, and even Alfonso Cuarón’s Gravity – even though the movie takes place entirely on Earth. Villeneuve and Young manage to bring a certain “other” quality to the film, making the movie feel simultaneously familiar and foreign. This sense of “other” is only is only amplified by Jóhann Jóhannsson’s hauntingly beautiful score. Jóhannsson previously worked with Villeneuve, scoring both Prisoners and Sicario, and he’s also composing the music for Bladerunner 2049. Specifically, though, with Jóhannsson’s score for Arrival, you are given a dual sense of ease and unease, human and alien – much like Young’s cinematography, and Villenueve’s film overall. There is an ever-present dichotomy between what’s at stake for Louise, and what’s at stake for the world – and the music fuels this tension in the most eloquent of ways. For all the marketing hype and misdirection, Arrival is a sci-fi film on a much smaller scale than commercials and trailers would have you believe. It’s a slow burn, walking you with an even pace until things come to a boiling point. And when that happens, you feel it. You feel it in the depths of your heart and shakes you. It’s not the instant thriller that is Gravity, nor is it the grand, sweeping epic that is Interstellar. And I keep bringing up these two films because they have the same emotional core that makes Arrival so compelling. All three of these films are crazy space thrillers, but there is so much more working under the surface of the gorgeous visuals and nail-biting scenes. 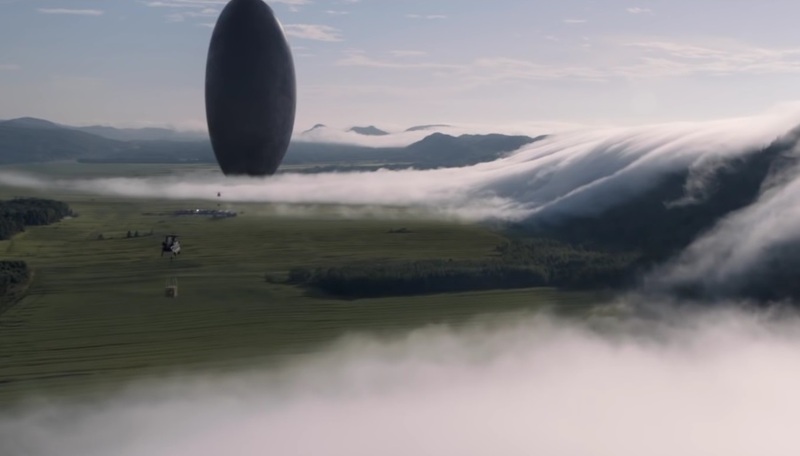 In all honesty, I believe Arrival completes the trifecta between Interstellar and Gravity of what a modern sci-fi space film can (and should) look like. Because it focuses on humanity first, space/aliens second. It reminds us that we are so much smaller than we realize, but that we’re also unstoppable. The question is, will we be an immeasurable force of good, or an entrenched force of fear of hatred?